Education is all about creating an environment of academic freedom, where bright minds meet, discover and learn. 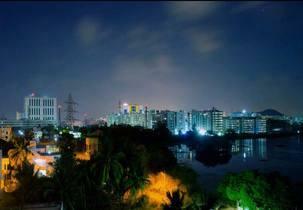 One would experience top of the world living and learning experience at SRM. 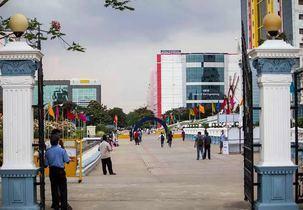 SRM University - where you have the freedom to take wings. 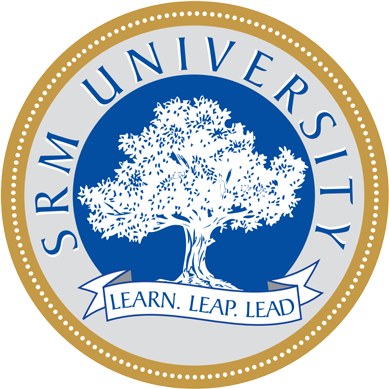 SRM University is one of the top ranking universities in India with over 38,000 students and more than 2600 faculty across all the campus, offering a wide range of undergraduate, postgraduate and doctoral programs in Engineering, Management, Medicine and Health sciences, and Science and Humanities. 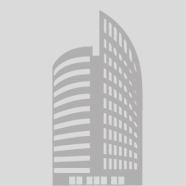 Academic Environment Foreign faculty, flexible and dynamic curriculum, exciting research and global connections are the features that set SRM apart. 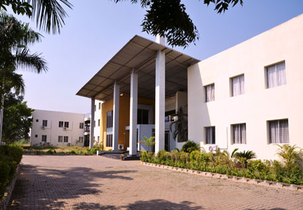 Students have a wide choice of cutting edge programs including nanotechnology, bioinformatics, genetic engineering, remote sensing and GIS, embedded systems or computer forensics to choose from. 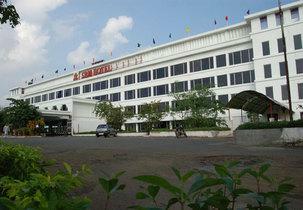 Most of these courses are offered in close collaboration with foreign universities. Diversity of Students 80% of students are from outside Tamil Nadu, with students from Europe, China and other countries. Semester Abroad Program Over 150 students sponsored to 35 foreign universities like MIT, Carnegie Mellon, UC Davis, Warwick and Western Australia in 2008-09. Click here. International Advisory Board 50 members from top universities across the world including MIT, Stanford, UC Berkeley, Cambridge and NUS help set Global Standards. Click here. Corporate Advisory Board Over 60 top executives from leading corporate institutions constantly interact with faculty and students to help in formulating academics and research. Click here. 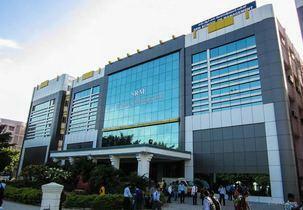 Accreditation SRM is accredited by NAAC with 'A' Grade in the year 2013. 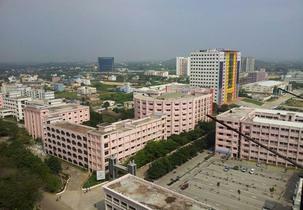 SRM University is placed in A category by MHRD. Infrastructure Over 600 acres replete with a variety of facilities, State-of-the-art labs, libraries, Wi-Fi, knowledge centre, 4000 capacity AC auditorium, 100 online smart classrooms, Hostels with premium facilities, endless convenience on campus including ATM's, bookstores, dining options, cafeterias, prayer halls, gym and more. Placement Top salary US $200,000 offered to NANO Researcher Mr. Shivaraman at California, USA. Nearly 100% placement of registered students: TCS, Wipro, Cognizant, Infosys, Siemens, and others. Loans On-the-spot sanction of bank educational loans during counseling. Scholarships (1) Fee waiver of 50% to students with above 95% in CBSE or in State Board examinations. (2) Founder's Scholarship-full waiver on tuition, books, hostels and mess, plus stipend of Rs.1,000 per month to top state, SRMEEE, JEE and AIEEE rankers, sports persons and socio-economic disdained. 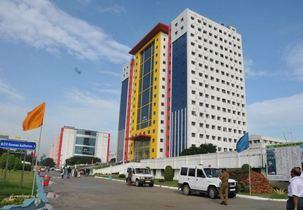 # 5655, Central Express Way, Sector 24, Sri City – 517 541, Changambakkam Village, Satyavedu, Chittoor (Dist), A.P. INDIA.